Understanding the symptoms of PTSD is the first step in knowing whether or not a loved one is suffering from PTSD. But there is no need to wait for these signs to appear before taking action. In everyday life, it is common sense to avoid potentially traumatic situations and dangerous events. However, there is no plan that will ensure everyone is safe from these scenarios 100 percent of the time, and when you serve in the military, there is an increased chance that you will experience trauma. Developing PTSD does not make a person weak, bad, or broken; trauma can happen to anyone and seeking help is necessary. As a family member or close friend, it is important to recognize when someone close to you has experienced trauma and to then be mindful of their experience. Encouraging the individual to talk it through or even seek professional help from the start can be extremely helpful and may even prevent prolonged suffering. No matter which steps you take, showing support and respect is most important. PTSD includes many symptoms and each person may manifest PTSD differently. Even so, it can be easy to read the signs. Symptoms can be broken down into 3 categories: re-experiencing (intrusive), arousal (or hyperarousal), and numbing and avoidance. The re-experiencing signs of PTSD will likely include flashbacks, frequent and violent nightmares, distressing memories, and anxious or fearful feelings. These symptoms may be reactions to triggers or they may occur out of nowhere with seemingly no cause. Often these intrusive symptoms will lead to reactions in the survivor that are also classified as PTSD symptoms. The veteran was in danger when he or she first experienced the trauma and when the veteran experiences intrusive symptoms, they feel as though they are in danger once again and react accordingly. Some may go to extreme measures to ensure they are protected, such as putting extensive security on their home or possessions, even when they are not in any danger. They may also be quick to react violently to people around them, becoming verbally, physically, or emotionally abrasive. The re-experiencing symptoms, such as nightmares and flashbacks, are signs that the mind and body are trying, yet struggling, to cope with the traumatic event. Some specialists might say that this set of symptoms is the mind’s way of trying to make sense of what happened during the trauma. Although the mind is trying to cope, many who suffer from PTSD will not experience relief until they get professional, outside help. Since affected veterans manifest these symptoms in response to feeling in danger, hyperarousal is also described as frequently being in the state of fight or flight, which can be very exhausting on the body. These and other symptoms can greatly affect a person’s ability to function. Re-experiencing the traumatic event and suffering from hyperarousal symptoms as a result is unpleasant, often disturbing, and very wearing on the body and mind. Because of this, most veterans with PTSD will attempt to avoid triggers and the feelings associated with them. At times, veterans may be unaware that they are doing this. As a short-term solution, avoidance may occasionally work. However, in the long term, this will not get rid of PTSD symptoms and may actually worsen them. A subset of avoidance symptoms is numbing. In order to avoid triggers and unpleasant feelings, many will restrict their emotions, feeling very little in response to emotionally stimulating events and scenarios, or even purposefully detach themselves from others and the world around them. Others will experience a loss of interest, loss of memory, and may even feel physically numb to pain and other sensations. 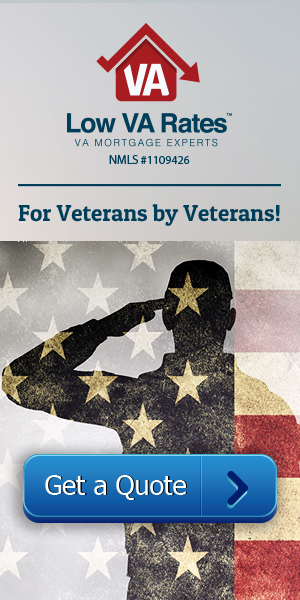 At Low VA Rates, we deal primarily with home loans. Although this is a huge help for veterans in and of itself, this is not all we do. 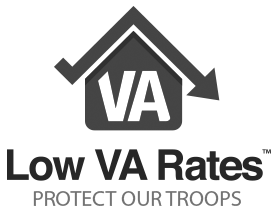 On our Protect Our Troops blog, we strive to educate our readers on the specifics of PTSD and other veteran-related diseases, conditions, and difficulties. Thank you for visiting our Protect our Troops.